"Vinnie was the guy who first fell in love with Disturbed"
Last June, the metal world was jolted by the sudden death of legendary Pantera drummer Vinnie Paul. His presence as a musician and metal ambassador was immeasurable, and one band in particular who felt his impact first-hand was Disturbed. 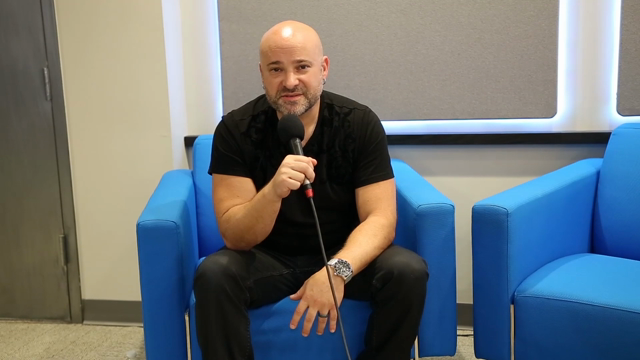 We sat down recently with David Draiman to discuss the band’s latest album, Evolution, and during the video interview (watch below), the conversation turned to Vinnie Paul, and the support that the drummer and his brother, Dimebag Darrell, showed Disturbed when they were first starting to break. “Vinnie was the guy who first fell in love with Disturbed from the band,” added Draiman. “Dime didn’t get it originally, to be perfectly honest … They came out to a show the very first date on our second Ozzfest — they flew out to Chicago just to come out. They weren’t on the bill. And that was the day we headlined the second stage in Chicago where 25,000 people came to an area that can only accommodate 10,000, and Sharon Osbourne called us and said, ‘We gotta move you to the main stage.’ They witnessed that, and it was an incredible moment. And for Vinnie and Dime to be a part of it, it was incredible. Draiman went on to talk about a time when Vinnie invited him and Wengren to his home in Dallas for a couple days of drinking and partying, remarking that they actually outdrank Vinnie and Dime, “miraculously”. Watch our video interview with David Draiman below to see his full thoughts on Vinnie Paul and Pantera. Disturbed are in the midst of a North American headlining tour. We caught their recent show at Madison Square Garden in New York City, and you can check out our recap and photo gallery here. Meanwhile, Vinnie Paul’s most recent band, Hellyeah, have just announced a concert honoring the late drummer. It will take place May 11th at the House of Blues in Las Vegas.